Green Hornet's Black Beauty Wrecked On Set, Kato To Blame? 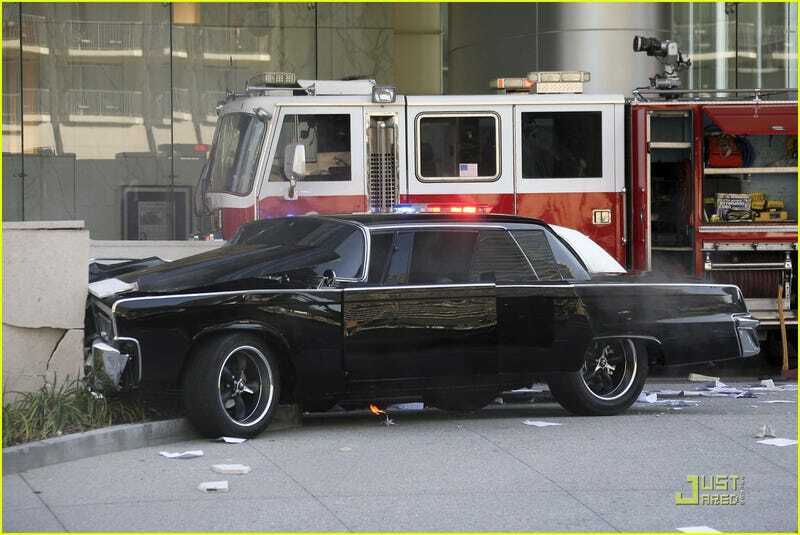 The gorgeous Black Beauty Crown Imperial from The Green Hornet remake appears to have crashed during filming. No word on injuries, but rescue crews can be seen in photos from the set.